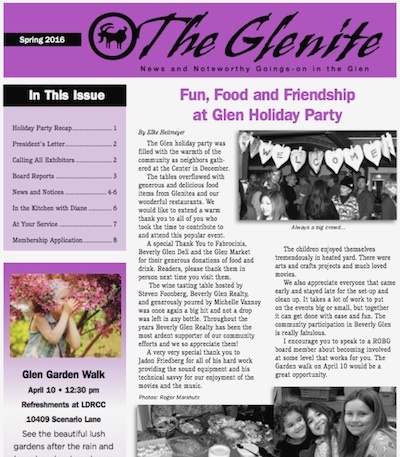 Residents of Beverly Glen » Blog Archive » The Glenite – Spring 2016! The Glenite – Spring 2016! Looking forward to seeing everyone tomorrow from 12:30 to 3:00 for the Garden Walk!